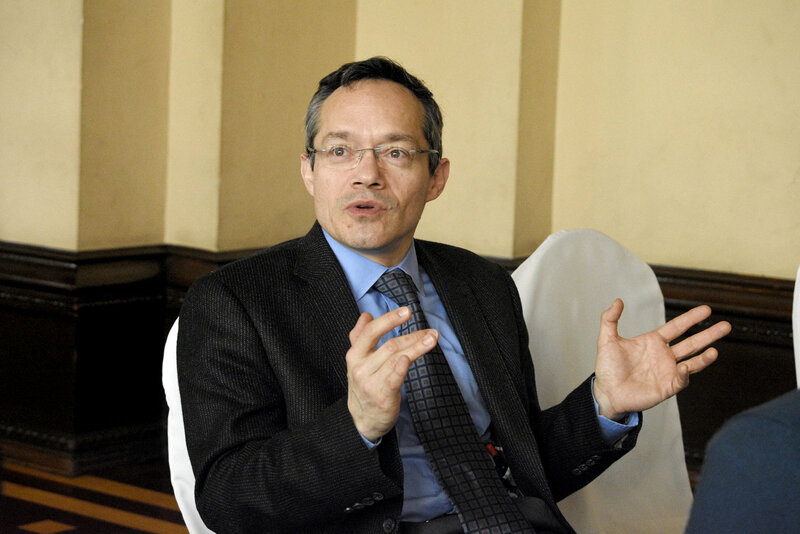 The Secretariat of the Treasury and Public Credit (SHCP in Spanish) of Mexico has joined the Federal Secretariat of the Budget of Brazil, the Department of Budget and Management of the Philippines, the World Bank, the International Monetary Fund, the International Budget Partnership, and the International Federation of Accountants in the lead steward group, the executive leading body of GIFT. In his welcome letter to Under-Secretary of the Budget, Fernando Galindo Favela, the Network Director, Juan Pablo Guerrero celebrated the “Mexican Treasury’s willingness to play a more engaged role in the strategic guidance of our multi-stakeholder action network and we know that your input will enrich the discussions at GIFT, and enlarge the reach of its technical and political perspectives, given Hacienda’s world leadership in the pursuit of our cause and experience in what we do”. 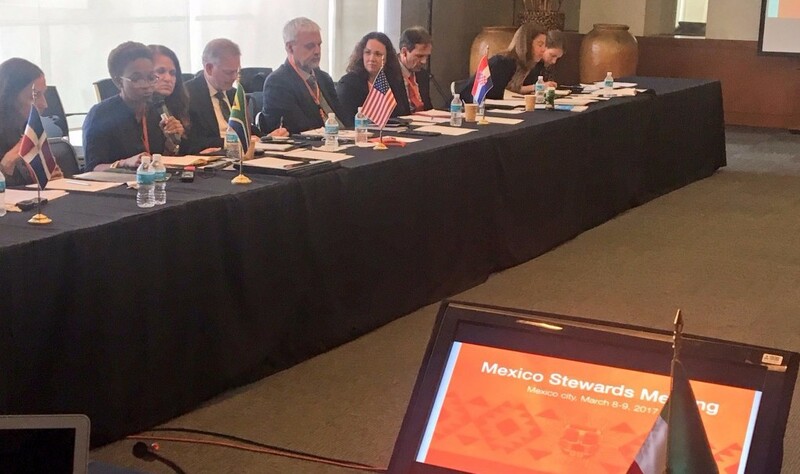 Twenty-four stewards, including four led stewards, attended the General Stewards Meeting in Mexico City on March 8-9, which was hosted by the Mexican Secretariat of the Treasury and Public Credit. Following the Lead Stewards Meeting held in Washington D.C. on January 17, in which eight new members were accepted; GIFT’s 2017 Workplan and budget was approved; and GIFT’s 2018-2021 Strategy was reviewed, the Mexico City March 2017 General Stewards Meeting was the space to welcome new members, get updates on stewards’ activities on fiscal transparency, discuss GIFT's strategy for its new 2018-2021 phase, as well as its 2017 Workplan. Furthermore, Stewards engaged on a discussion on the public participation (and GIFT’s Guide) and the Open Fiscal Data Package, looking to expand work on these areas. As a result of the discussions, the Stewards expressed their support of the work plan and the strategy note for the next phase of GIFT; and they made a strong commitment to continue publishing budget data in open data format. Other promising developments with respect to work on IT was the launching of a working group in the area of technology for the opening of budget data, under the leadership of Rafael Palau of Paraguay; as well as South Africa’s and Brazil’s expression of strong interest in exploring the Open Fiscal Data Package (OFDP) and especially in linking open data with open contracting. 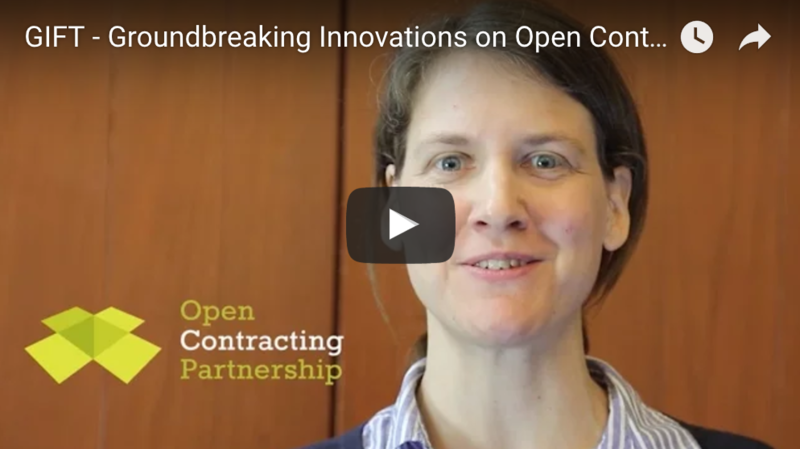 Likewise, Guatemala, Paraguay, and Brazil expressed their interest to explore the Open Contracting Data Standard (OCDS) led by the Open Contracting Partnership. 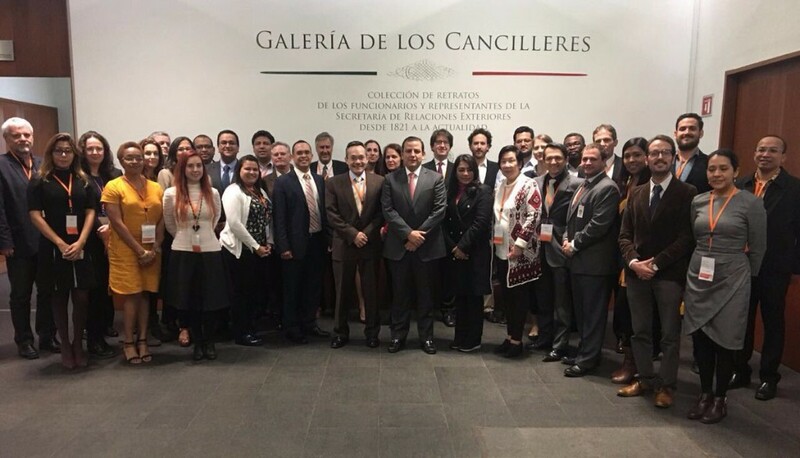 Moreover, Mexico presented its significant work on open data and open contracting, done in collaboration with the Open Contracting Partnership. After approving minor updates made to the Principles on Public Participation in Fiscal Policy, Stewards discussed their experiences on public participation in fiscal policy and committed to share these as cases for the Guide on Public Participation in Fiscal Policy Principles and Mechanisms. 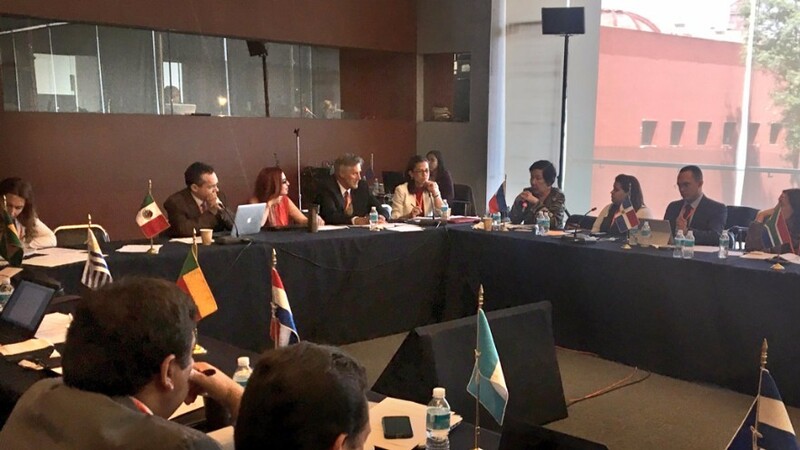 GIFT announced an important new effort to document and systematize its ways of learning in order to best take advantage of the network; and endorsed Global Integrity´s proposal to support the network and its members through Participatory Assessments and Adaptive Implementation Support. A calendar of the 2017 GIFT events was reviewed, including the date choices (September 20-21 or October 10-11) for GIFT Fall General Stewards Meeting, to take place in MITRE’s headquarters in Washington (see below). 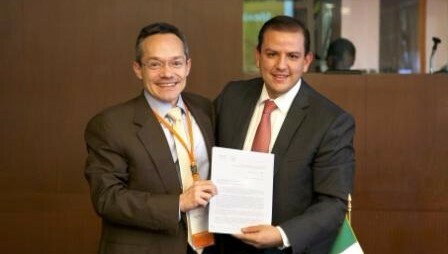 Finally, Under-Secretary of Budget of Mexico, Fernando Galindo, submitted a request to become a Lead Steward of GIFT. See the meeting materials, including agenda, presentations, list of attendees, and minutes here. GIFT was part of a workshop on multi-stakeholder initiatives as governance mechanisms and platforms to advance goals at the global level. The workshop was hosted by Prof. Sanjeev, Khagram, one of the GIFT’s founding architects and former Coordinator and Lead Senior Advisor of the action network. The John Parke Young Initiative on the Global Economy at Occidental College, the Human Rights Program at Harvard Law School, the Institute for Multi-Stakeholder Initiative Integrity (MSI Integrity), and the Steering Committee of the Global Research Network on Multi-Stakeholder Initiatives coordinated the workshop at Occidental College (April 3-4) aimed at deepening academic engagement with multi-stakeholder initiatives (MSIs) as governance mechanisms, in a discussion that included researchers and practitioners. Over the last two decades, MSIs such as GIFT, have emerged as central actors in the sustainability, business and human rights, and governance and accountability fields. However, even as MSIs have spread, understanding of their internal and external political dynamics, operations, and impacts remains limited and fragmented. This workshop will be the first in a series and will convene academics, applied researchers, and practitioners to interrogate the institutional design, governance, and effectiveness challenges facing MSIs. Workshop sessions are designed to connect researchers and practitioners across disciplinary, geographic, and sectoral boundaries to shape a shared research agenda on MSIs. 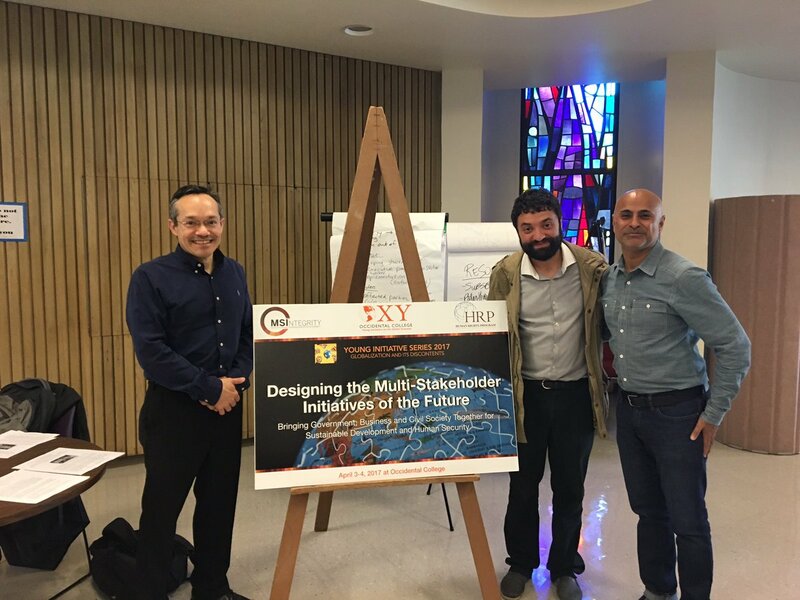 This inaugural research workshop examined MSIs through the following thematic lens: Designing the MSI of the future: Can MSIs advance transformational rather than just transactional goals? As they have formed and evolved, many MSIs have been animated by global goals such as the U.N. Guiding Principles on Business and Human Rights or the Sustainable Development Goals--but to what extent have MSIs succeeded in working towards them? 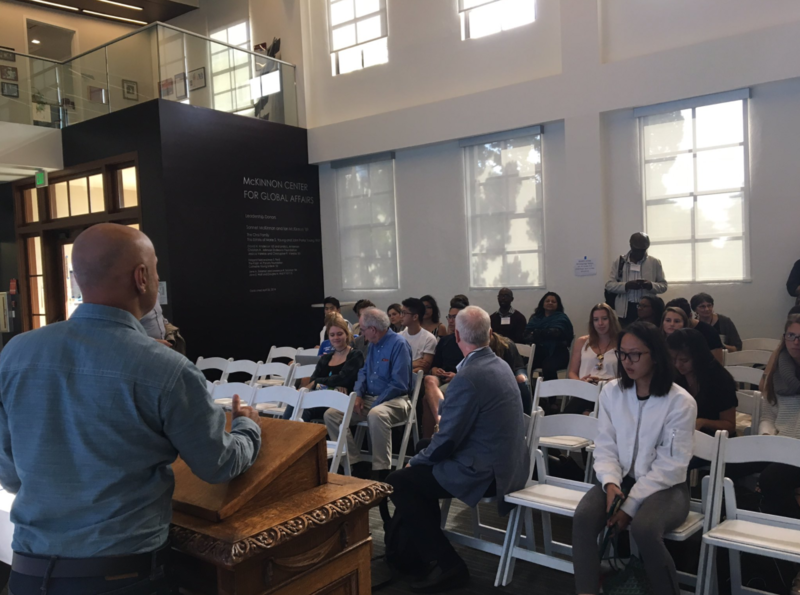 Plenary and small group panel discussions explored research on how MSIs have addressed these ambitious goals in practice and how they could advance them in the future by examining the state of research on MSI political dynamics, design, and impact. Panel discussions were intended to foster ongoing research collaboration among participants and will focus on participant-proposed topics. Ljubljana, Slovenia, May 11, on fiscal transparency and public participation, in partnership with the Slovenia Court of Audits. Asuncion, Paraguay, May 31, June 1-2, on disclosure of budget information in open data sources (Open Fiscal Data Package) and disclosure of budget performance indicators, and proactive fiscal information disclosure (Access to Information implementation), in partnership with the Technical Planning Secretariat for Development (GIFT steward), the Ministry of Finance and the World Bank. The GIFT General Stewards Meeting, at MITRE’s headquarters (McLean, VA), Washington DC area on October 10-11. World Development Reports 2017. Governance and the Law. Successful reforms are not just about “best practice.” To be effective, policies must guarantee credible commitment, support coordination, and promote cooperation. Power asymmetries can undermine policy effectiveness. The unequal distribution of power in the policy arena can lead to exclusion, capture, and clientelism. Change is possible. Elites, citizens, and international actors can promote change by shifting incentives, reshaping preferences and beliefs, and enhancing the contestability of the decision making process. Think not only about the form of institutions, but also about their functions. Think not only about capacity building, but also about power asymmetries. Think not only about the rule of law, but also about the role of law. 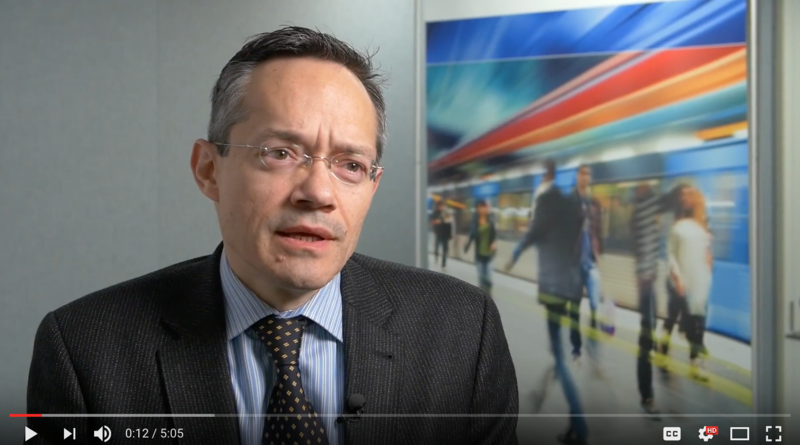 Juan Pablo Guerrero, network director of the Global Initiative for Fiscal Transparency, stresses that the public do care about access to high quality fiscal information, and explains what governments can do to meet that demand well. Use & Publish #Fiscal #Information: webinars, blog, animations, case studies, videos. Copyright © 2016 Global Initiative for Fiscal Transparency - GIFT, All rights reserved. A multi-stakeholder action network to advance fiscal transparency, participation and accountability worldwide.